This Hotel was built from many Jewis homes in Sevilla. 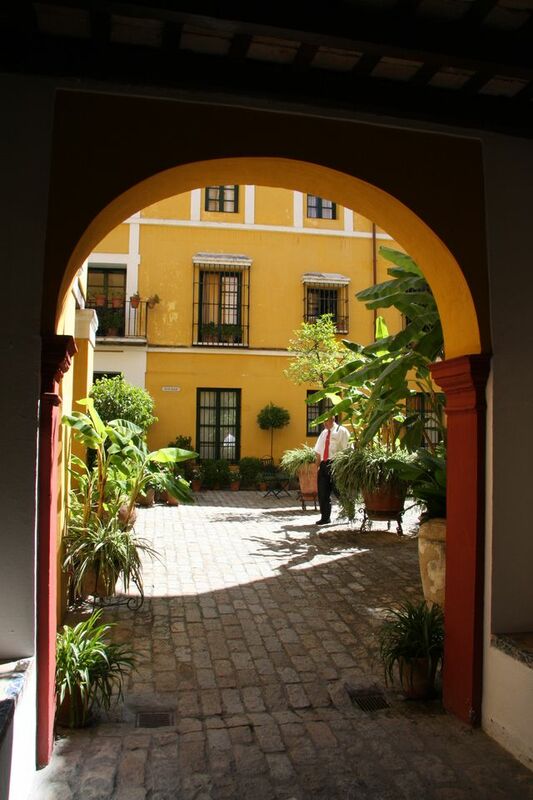 A beautiful, historical place in the center of Sevilla's coolest area. The underground has historical passage ways with sculptures, tile work, fountains... Amazing.